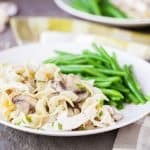 Amish Chicken Casserole uses flavor packed rotisserie chicken as a base and is topped with a savory and simple white sauce and perfectly cooked noodles. A simple and delicious chicken casserole with an incredibly easy white sauce, this Amish Chicken Casserole makes the perfect supper to come home to. After a hard day’s work, we can’t shovel it down fast enough and always wish we made more! We like to use egg noodles, homemade or store-bought, but feel free to use any type of shortcut pasta you prefer. One of my favorite things about this recipe is that it calls for rotisserie chicken. There is really no better way to prepare chicken than rotisserie style, in my humble opinion. You can use my slow cooker rotisserie chicken recipe if you want, or run to the local grocery store and grab the already made version. Rotisserie chicken is juicy and full of flavor. You will not regret making it yourself if you give it a try! The recipe above also uses carrots and potatoes. When I just want the chicken, I will use crumpled tin foil balls to keep the chicken elevated while it cooks, giving it that amazing rotisserie taste. To prepare Amish Chicken Casserole you will first make the sauce. Melt some butter and make a roux by adding flour. Whisk it around just enough to remove the lumps and brown it a bit. Stir in your broth and milk and let it come to a boil until the sauce has thickened. Add some salt and pepper to taste and then set the burner to the lowest level of heat. You will want to keep an eye on the sauce and may want to whisk it every now and then. It will continue to thicken. In a large bowl, combine your chicken, mushrooms, onions, parsley and cooked noodles. Pour the sauce over the top and stir it all up to coat. Pour the whole bowl into a greased baking dish, top with some freshly grated parmesan cheese and pop it in the oven for 25-30 minutes or until it is cooked through completely. The egg noodles are also a staple ingredient in the recipe. Now you CAN go to the store and buy your own bag of premade egg noodles. That would be the easy route. The more rewarding route though? Just make them yourself! Egg noodles are incredibly easy to make and the flavor is so much better. Here is a recipe for homemade egg noodles. Just five simple ingredients (that you probably already have) and 3 simple steps and voila! 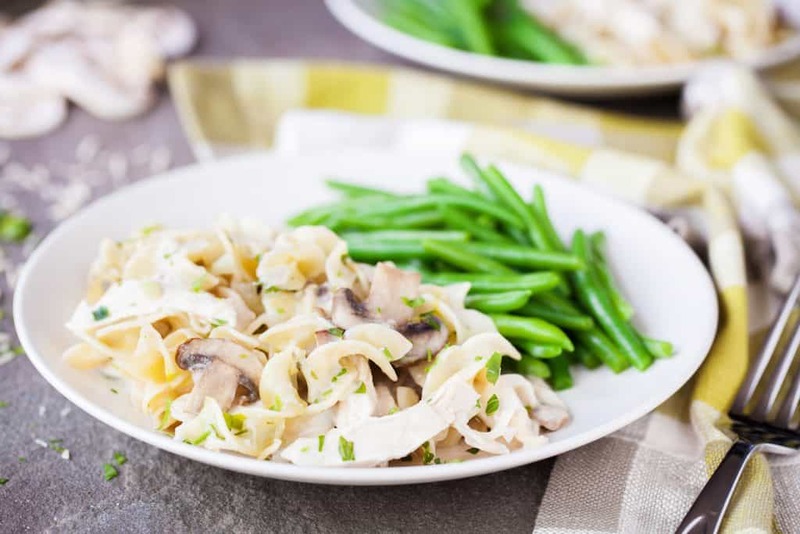 If adding egg noodles to this dish, you will want to boil them beforehand, just like you would with a store-bought noodle. This dish is easily paired with so many great sides. A simple green been is a perfect compliment, but we have also made a side of browned butter brussel sprouts, garlic potato wedges, or my personal favorite no yeast breadsticks! Pre-heat oven to 350°F and grease a 9x13-inch baking dish. In a medium sauce-pan, make the sauce by melting the butter over medium heat. Whisk in the flour until no lumps remain. Stir in the broth and milk and bring to a boil. Reduce heat and allow to simmer until thickened. Stir in the salt and pepper. Keep warm on low while preparing the rest of the casserole. 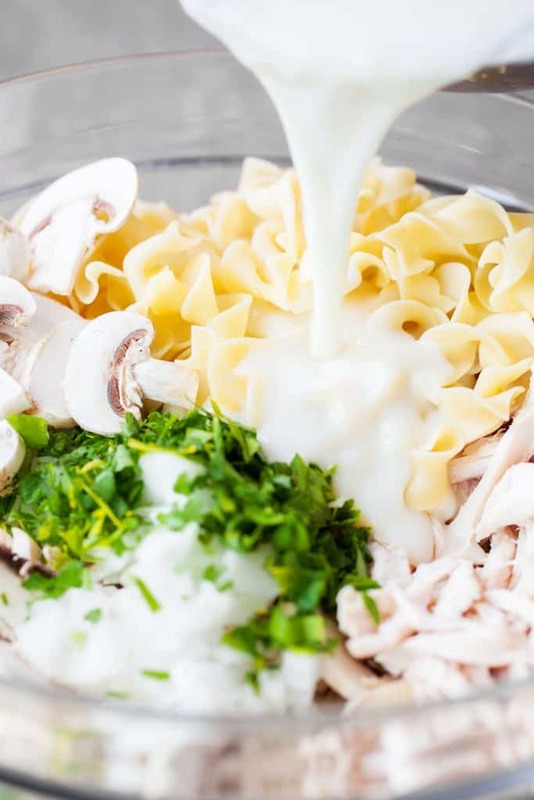 In a large bowl, add the noodles, chicken, mushrooms, onion, and parsley. Pour in the sauce and stir to coat. Transfer to the baking dish and sprinkle on the cheese. Bake for 25 minutes, until thoroughly heated. Serve immediately. Did you make Amish Chicken Casserole? Delicious, easy, and fast! As far as food goes, my husband is not difficult to please, but he loved this. After he had finished his first helping, he inquired as to what the sauce was. I explained that it was a basic white sauce, and he said that he loved it more than alfredo sauce (major wife points here). I have no idea on how it reheats, but if it doesn’t turn out well, I will probably halve the recipe next time as half of a 9×13 was perfect for just the two of us. 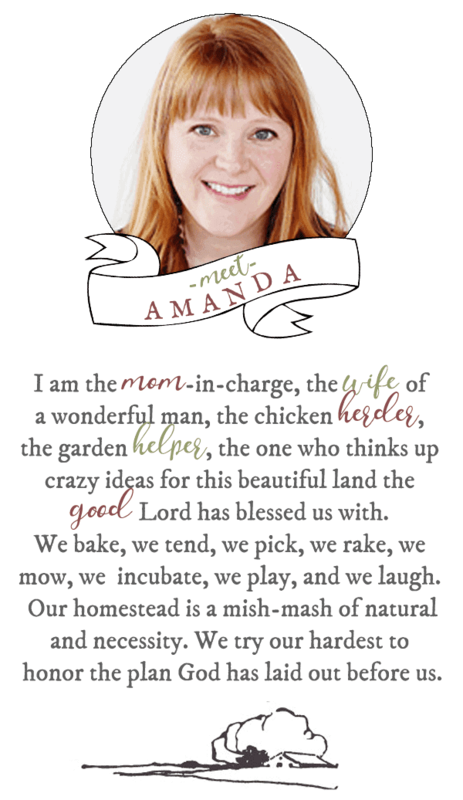 Thanks Amanda & Patty for such a great recipe! I live alone and love to make new things. Can this be frozen? Is this recipe okay for type 2 diabetics? My husband has type 2 diabetes so I use whole grain noodles in place of anything that has white flour in it. Egg noodles do have white flour but it has a lot less than a regular pasta. I would say it is okay but maybe limit the amount of noodles and add more chicken or sub out the noodles for a whole wheat version or even a veggie pasta. So much depends how many carbs he’s allowed. Try cutting it down to 6 ounces of noodles, you can get whole wheat if that works for him, and add extra chicken and mushrooms. Serve it with a green salad and some green vegetables and it should work. Can’t wait to try it. I think the Grandchildren will love it!